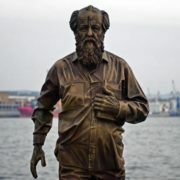 Alexander Solzhenitsyn is an outstanding Russian writer and public figure. 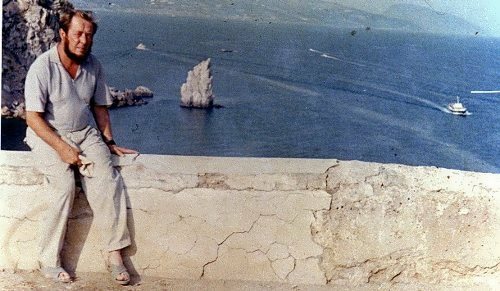 To tell the truth, in the Soviet Union he was recognized as a dissident, dangerous for the communist system, and the writer was imprisoned for many years. 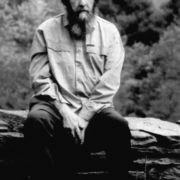 His books The Gulag Archipelago, Matryona’s Place, One Day of Ivan Denisovich, Cancer Ward and many others are widely known. By the way, he won the Nobel Prize in Literature, and was awarded only eight years after the first publication, which is considered a record. 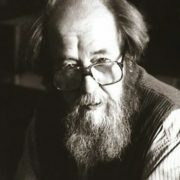 The future writer was born on December 11, 1918, in Kislovodsk. 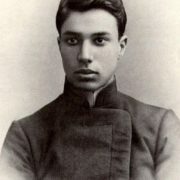 His father Isaak Semenovich served in the First World War, but died on the hunt six months before the birth of his son. The mother Taisiya Zakharovna brought up her son alone. 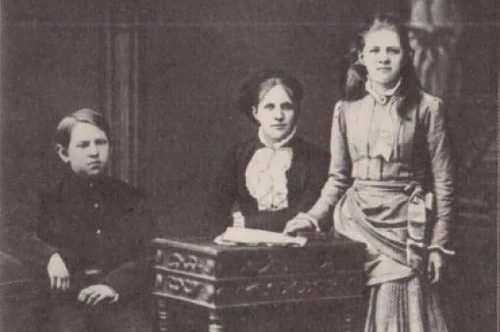 Because of the consequences of the October Revolution, the family lived in extreme poverty. Later they moved to Rostov-on-Don. 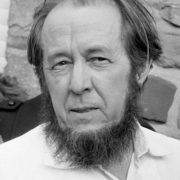 Problems with the new government began in Solzhenitsyn’s early years, as he was brought up in the traditions of religious culture, wore a cross and refused to join the pioneers. 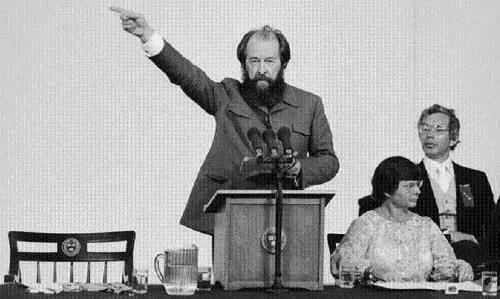 But later, under the influence of school ideology, Alexander changed his point of view and even became a member of the Komsomol. The boy was fond of reading. He read the works of Russian classics and even had plans to write his own revolutionary novel. 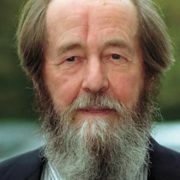 But when it was time to choose a specialty, Solzhenitsyn for some reason entered the physics and mathematics department of the Rostov State University. According to his confession, he was sure that mathematicians were taught only by the most intelligent people, and wanted to be among them. The name of Alexander was among the best graduates of the year. While still a student, the young man took a great interest in theater, and even tried to enter a theater school. 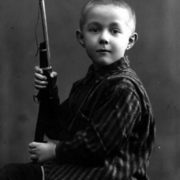 However, he continued his education at the Literary Department of the Moscow University, but he did not manage to finish it because of the outbreak of the Great Patriotic War. He could not go to the army as an ordinary soldier because of health problems. 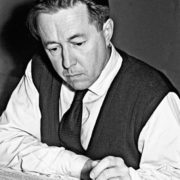 But Solzhenitsyn-the patriot achieved the right to study at the Military School and got the rank of lieutenant in the artillery regiment. For his exploits in the war, the future dissident was awarded the Order of the Red Star and the Order of the Patriotic War. 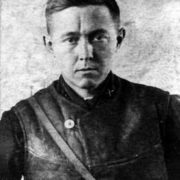 Already in the rank of captain Solzhenitsyn continued valiantly to serve his homeland, but increasingly disappointed in its leader – Joseph Stalin. He shared similar thoughts in letters to his friend Nikolai Vitkevich. And once such a written dissatisfaction with Stalin, and therefore, according to Soviet concepts – and the communist system as a whole, appeared on the table of the head of military censorship. 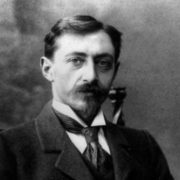 Alexander Isaevich was arrested, deprived of his rank and sent to Moscow, to the Lubyanka. After months of interrogations the former war hero was sentenced to seven years of forced labor in camps and eternal exile at the end of the sentence. 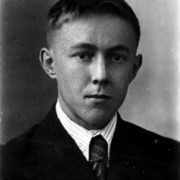 Solzhenitsyn first worked at the construction site and participated in the building of houses in the area of the current Moscow Gagarin Square. Then the state decided to use the mathematical education of the prisoner and transferred him to special prison, which was subordinated to a closed design bureau. But because of the quarrel with the leadership Alexander Isaevich was transferred to the harsh conditions of the general camp in Kazakhstan. There he spent more than a third of his imprisonment. 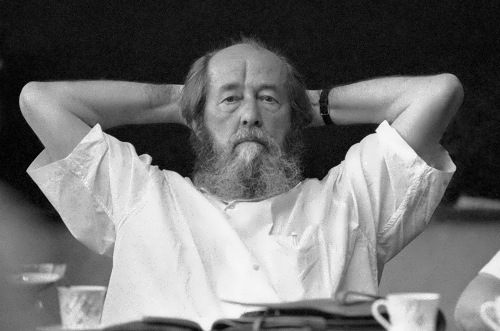 After the release, Solzhenitsyn was forbidden to approach the capital. He was given a job in Southern Kazakhstan, where he taught mathematics at school. 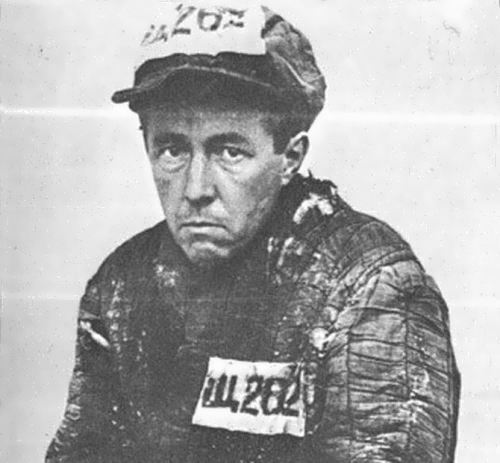 In 1956, Solzhenitsyn’s case was reviewed and announced that there was no crime in it. So the man could return to Russia. He began teaching in Ryazan, and after the first publications of the stories he concentrated on writing. 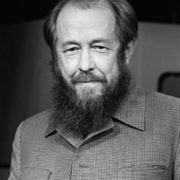 Solzhenitsyn’s work was supported by General Secretary Nikita Khrushchev himself, since anti-Stalin motives were very helpful to him. But when Leonid Brezhnev became the leader of the state, the writer got banned. It became even worse, when the books, without his permission, were published in the United States and France. The authorities saw a clear threat in the writer’s public activities. He was offered emigration, and since Alexander Isaevich refused, there was an assassination attempt. A KGB officer gave him a poison injection, but the writer survived, although he was very ill afterwards. As a result, in 1974 he was accused of treason, deprived of Soviet citizenship and expelled from the USSR. Alexander lived in Germany, Switzerland, USA. You know, he founded the Russian Public Fund for Assistance to the Persecuted and their Families. Also he lectured on the insolvency of the communist system in Western Europe and North America, but gradually became disillusioned with the US regime. So he began to criticize democracy as well. When Mikhail Gorbachev began Perestroika, the attitude to Solzhenitsyn’s work changed in the USSR. And President Boris Yeltsin persuaded the writer to return to his homeland. 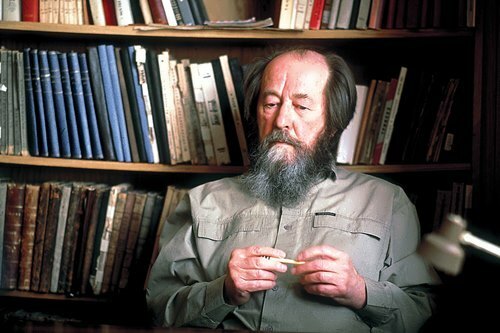 Books by Solzhenitsyn – novels, stories, poetry – can be conditionally divided into historical and autobiographical. 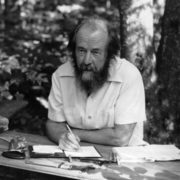 From the very beginning of his literary career he was interested in the history of the October Revolution and the First World War. 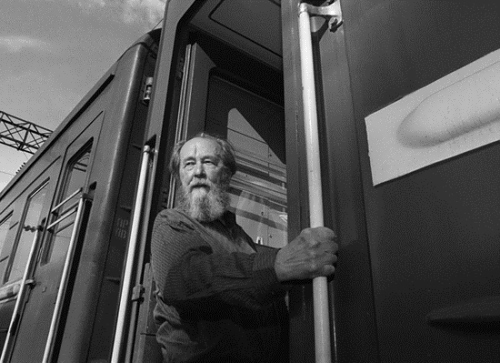 The war is shown by Solzhenitsyn in the unfinished story Love the Revolution, the story An Incident at Krechetovka Station. But the main attention of the public is focused on the work The Gulag Archipelago and other works on repression, as well as imprisonment in the USSR – In the First Circle and One Day in the Life of Ivan Denisovich. 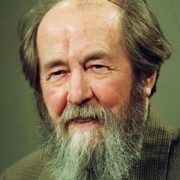 Solzhenitsyn’s work is characterized by large-scale epic scenes. He usually introduces the characters who have different points of view on one problem. In most books there are actually living people, however, often hidden under fictitious names. His works were highly appreciated by such figures of art as storyteller Kornei Chukovsky and writer Valentin Rasputin. Poetess Anna Akhmatova liked the story Matryona’s Place and director Andrei Tarkovsky marked the novel Cancer Ward and even personally recommended it to Nikita Khrushchev. 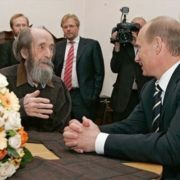 And Russian President Vladimir Putin, who spoke several times with Alexander Isaevich, respectfully noted that the state for Solzhenitsyn remained an indestructible constant, despite his criticism of the current government. 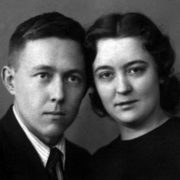 The first wife of Alexander was Natalia Reshetovskaya, whom he met in 1936 while studying at the university. They got married in the spring of 1940. Unfortunately, the war, and then the writer’s arrest, did not give the couple opportunities for happiness. 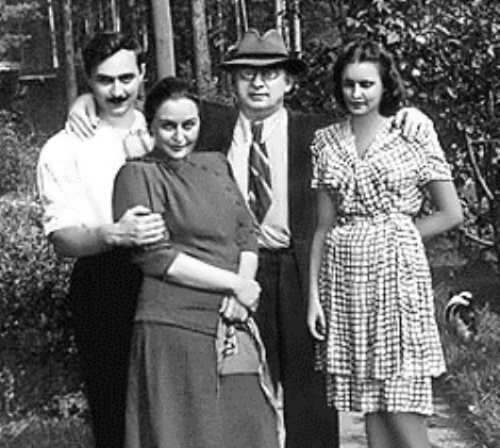 In 1948, after repeated convictions of the NKVD, Natalia divorced her husband. However, when he was rehabilitated, they began to live together in Ryazan. 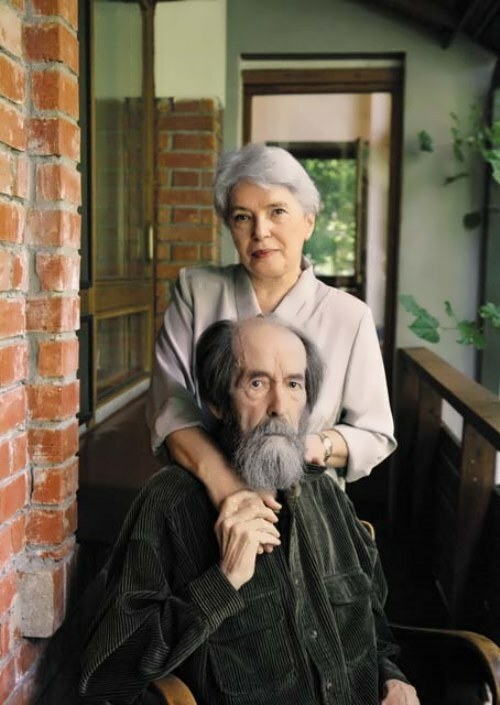 In August 1968, Solzhenitsyn met Natalia Svetlova, an employee of the Laboratory of Mathematical Statistics, and they had a love affair. 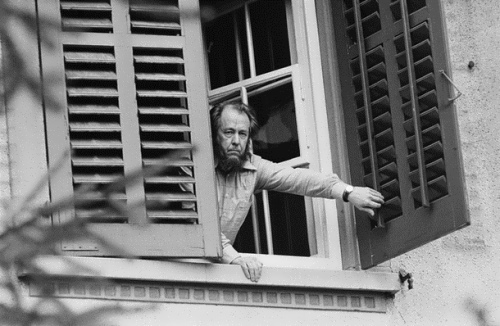 When Solzhenitsyn’s first wife found out about this, she tried to commit suicide, but the ambulance managed to save her. 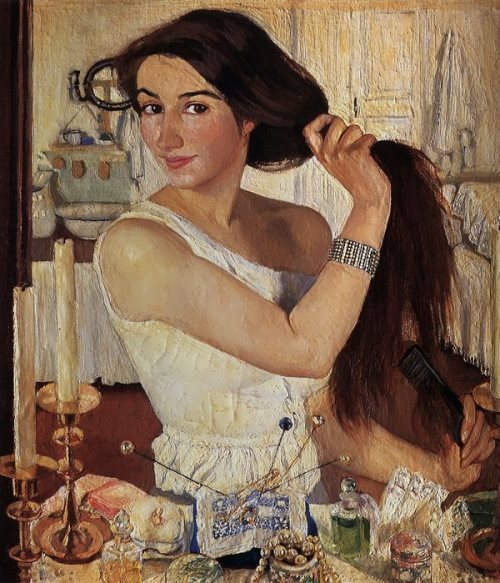 A few years later, Alexander Isaevich managed to get an official divorce, and Reshetovskaya subsequently married several times and wrote several books about her former husband. 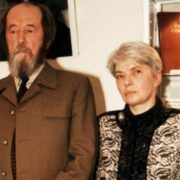 You know, Natalia Svetlova became not only the wife of Solzhenitsyn, but also his closest friend and faithful assistant in public affairs. Together they learned all the burdens of emigration, together they raised three sons – Ermolai, Ignat and Stepan. Also they brought up Dmitry Tyurin, the son of Natalia from her first marriage. 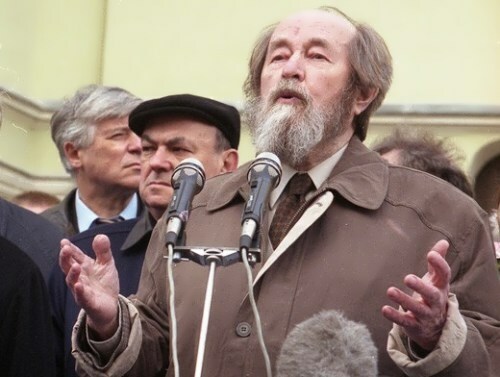 By the way, Solzhenitsyn’s middle son Ignat became a very famous man. He is an outstanding pianist, chief conductor of the Chamber Orchestra of Philadelphia and the main guest conductor of the Moscow Symphony Orchestra. 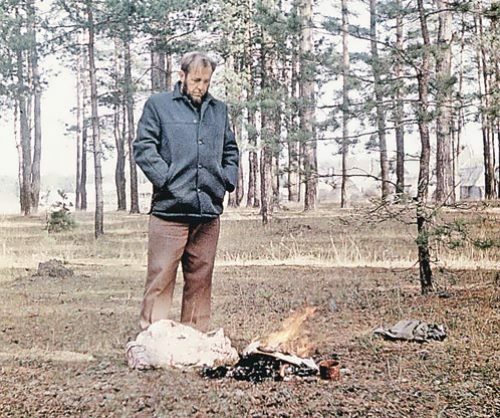 The last years of his life Solzhenitsyn spent at a dacha outside Moscow, presented to him by Boris Yeltsin. He was seriously ill.
Great writer died of acute heart failure on August 3, 2008, a few months before his 90th birthday. 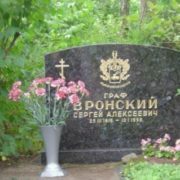 They buried this man, who had an extraordinary, but incredibly difficult fate, at the Don cemetery in Moscow, the largest noble necropolis in the capital.